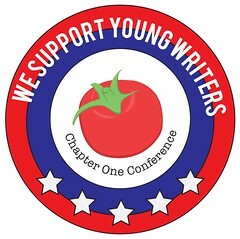 Hi all, and welcome to the 2017 Chapter One Conference Blog Tour. I am very excited to be able to host Ch1Con on my blog today and tell you all about the amazing line-up for the 2017 conference. If you've never heard of Chapter One Conference (also lovingly referred to as Ch1Con) before, let me … Continue reading 2017 Ch1Con BLOG TOUR!! !